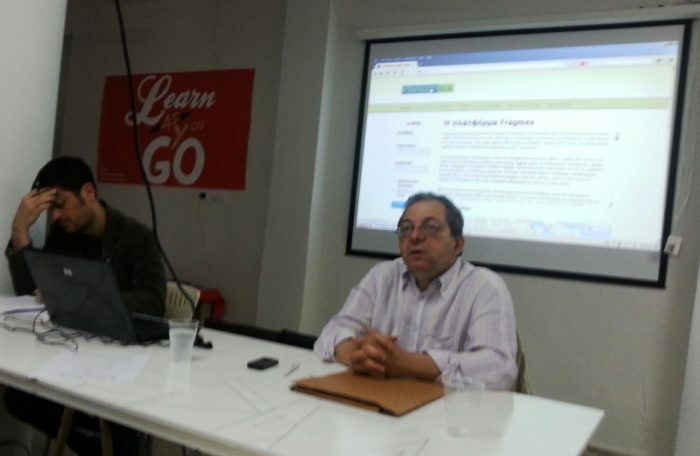 Α public debate was held at Tech Ministry in Thessaloniki, entitled: “The Presentation of the research programme FRAGMEX”, on May 14th, 2015. The discussion was carried out with the presentations of Mr. Thodoris Rakopoulos, Researcher at the Department of Social Anhtropology of the University of Bergen, Mr. Dimitris Sotiropoulos, Associate Professor at the Political Science and Public Administration Department of the University of Athens and with the presentation of Mr. Vasilis Stefanis phd student at the Computer Engineering & Informatics Department of the University of Patras. A short description of the event is available here.